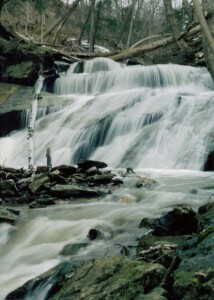 Lower Borer’s Falls is a complex curtain cascade. 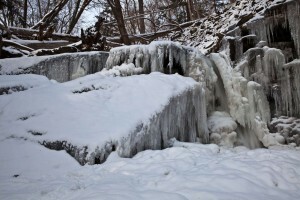 Its height is 3 metres (10 feet) and its width is 5 metres (16 feet). 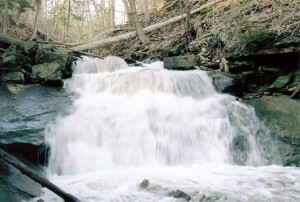 This fall is located on Borer’s Creek, about 200 metres downstream from Borer’s Falls. 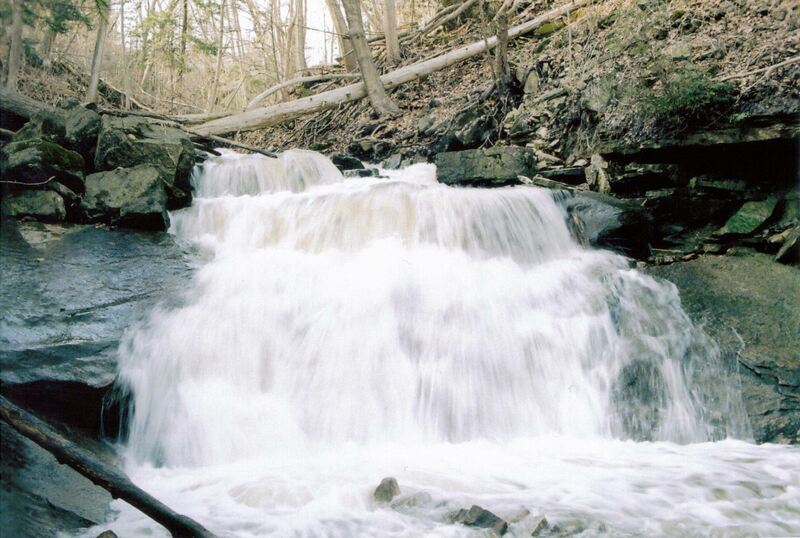 Lower Borer’s Falls is featured on Joe Hollick’s ‘Waterfalls of Hamilton- Spring’ poster, primarily to show people that this waterfall does exist, as most never get to see it in person. It is extremely difficult to reach this waterfall. The quickest way is to park at the Rock Chapel Sanctuary on Rock Chapel Road in Flamborough. 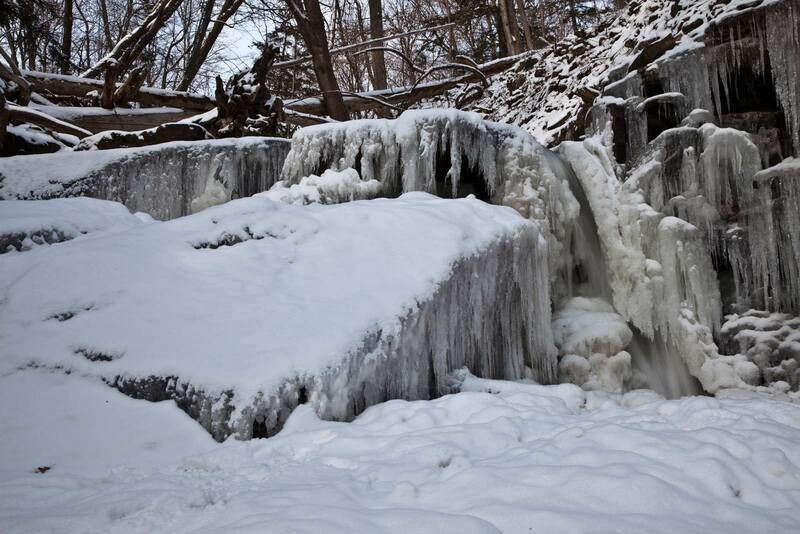 Walk north along the Bruce Trail. 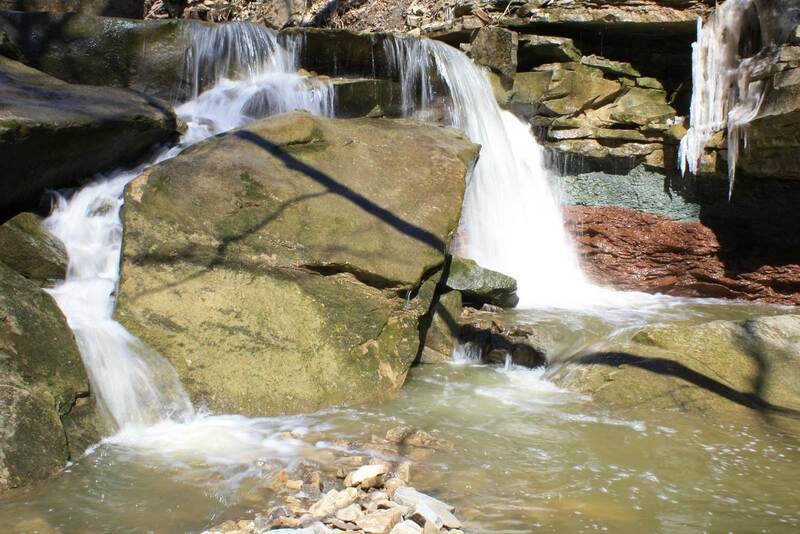 Just before you reach Borer’s Falls, you have to climb down the escarpment.There is no trail- it is steep, difficult, and dangerous. Keep an eye out for poison ivy as well. 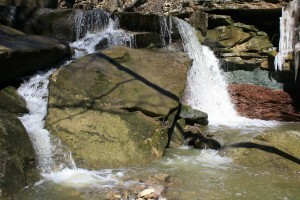 Once at the bottom of the escarpment, follow the creek downstream about 200 metres.